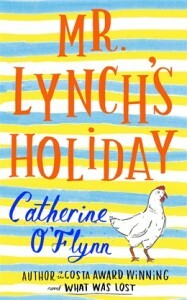 Before winning the Costa Award in 2008 for her first novel, What Was Lost, Catherine O’Flynn earned her living in a variety of ways – she was deputy manager of a record shop, post woman, box office assistant, web editor, journalist and mystery shopper. Thanks in no small part to that variety of day jobs, her third work of fiction confirms how observant she is of physical detail. On his way from the airport inSpainto visit his son Eamonn, retired Midlands bus driver Dermot Lynch notices the ‘small, scrappy agricultural plots with shacks made of plastic tarpaulin huddled in the shadow of mirrored-glass buildings and empty car parks’. It is clear very quickly what has happened to the development of Lomaverde. The crisis of the Euro has turned a planned Utopia into a wasteland, with only a scattering of new villas occupied. The development’s shared infinity pool is empty and feral cats are living among fallen pine needles and a discarded Cheetos box. Another of Catherine O’Flynn’s ‘odd’ jobs, while living in Spain, was to give English language tutorials to Spanish civil servants by phone. Dermot’s listless son earns a crust from something similar, while he tries to write his novel, come to terms with his new ex-pat life and the loss of his girlfriend Laura. She will not reply to his e-mails and texts. Dermot has recently lost his wife, but there is no possibility of her return. Father and son have an uneasy relationship. Dermot is not a man with the broadest of horizons, but he is a practical person whose fortnight’s holiday to visit Eamonn will have a crucial impact. Once upon a time, I went with my father to help decorate an apartment he had bought on the Costa del Sol. It was out of season, but still hot enough to swim in the sea. After supper, we tended to go to bed quite early, but one night there was a heavyweight contest between the Spanish champion Jose Urtain and England’s Henry Cooper. My Dad and I watched the fight at a local bar, where, after sustaining an early cut to the eye, Our ‘Enery gave General Franco’s favourite boxer a lesson in ringcraft. Suddenly, we knew everyone in town – criminals, striptease dancers, an American divorcee who looked like Marilyn Monroe, the owners of the bar… The rest of the trip was one long party. This was a different world and time, and there was no need for generational reconciliation. No illegal immigrants were washed up on the beach, or seeking some kind of temporary sanctuary in abandoned buildings. But Catherine O’Flynn has captured the unrealized expectations of those who moved to the sun in search of an illusory paradise. She excels in revealing the fragility of relationships, the drama of disconnection – both of people and country. Mr Lynch’s Holiday does not have the strongest of narratives, but it does proceed, with wry sadness, towards some kind of resolution. A local mystery is solved, we learn why Dermot left Ireland, the country of his birth, and Eamonn is helped to tidy up the Lomaverde of his mind. 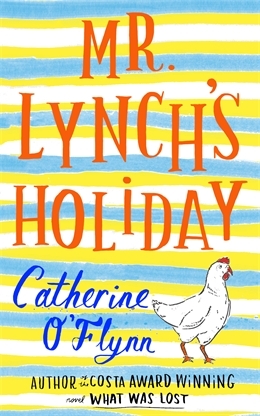 But if Catherine O’Flynn is to make a return to the Costa Awards or the Booker long list, I suspect her fourth novel should be a bit more ambitious and dramatic.